The Store in Windows 10 is an undoubtedly improved version of its predecessor as Microsoft seems more ready to enter the world of apps. Still, some issues do persist and there is one in particular that a lot of users seem to run into. 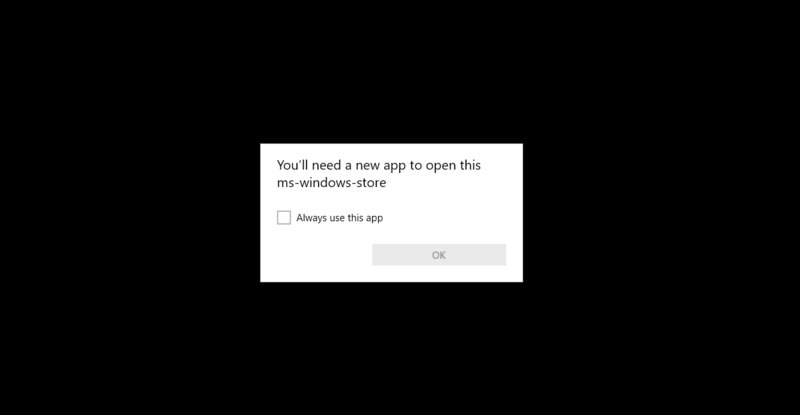 When trying to open a Windows Store app, a message appears saying that the app cannot open and that there is a problem with it. Other times, no message will appear and the app in question will simply not open. In the worst case scenario, Windows Store apps will appear to have random names and will not respond when you try to launch them. 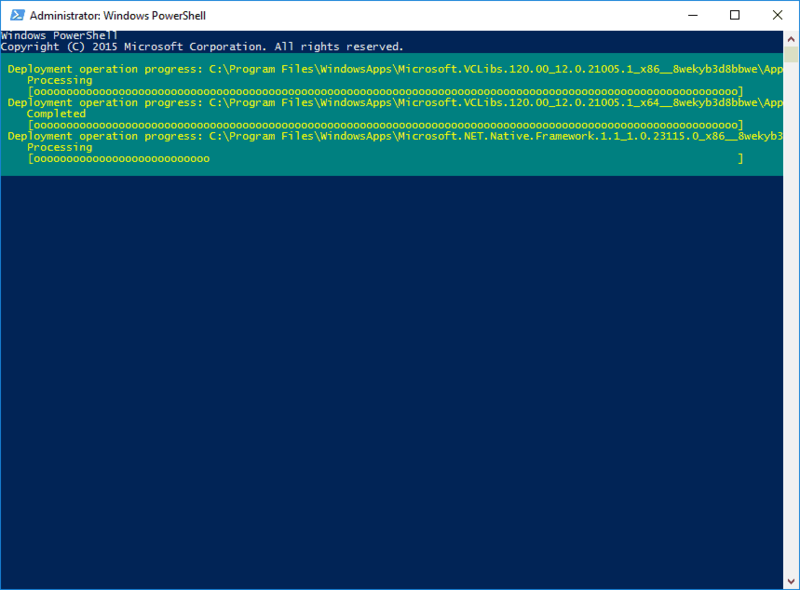 In many cases, the above problems are the result of a bad link between the Windows Store and the current user account or a missing link between the Store and its actual location in Windows. As such, the easiest solution is to re-register or reset the Store. It is vital that you only use these methods as a last resort. Attempting to re-register or reset the Store when there is nothing wrong with the user account may mess things up even more. I will list three different solutions below as whether they will work or not depends on a variety of different factors. Start with the first one and move on until one of them works. 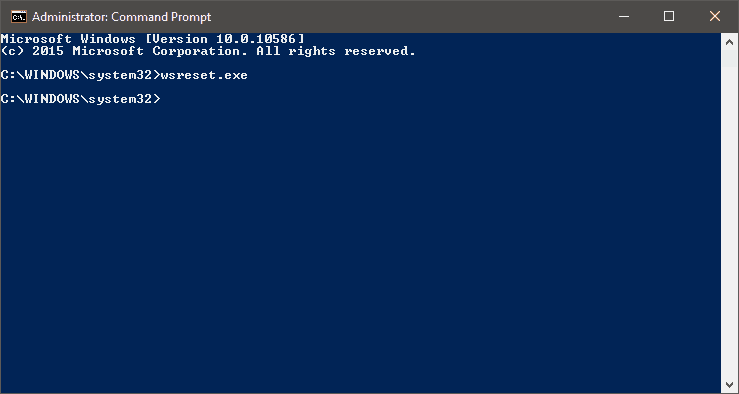 Type exe in your Start menu and press Ctrl + Shift + Esc to open an elevated command prompt window. In the CMD window, type exe and press Enter. Wait until the operation completes and the Windows Store should be launched automatically. Click on the Start button or press the Windows key to open your Start menu. 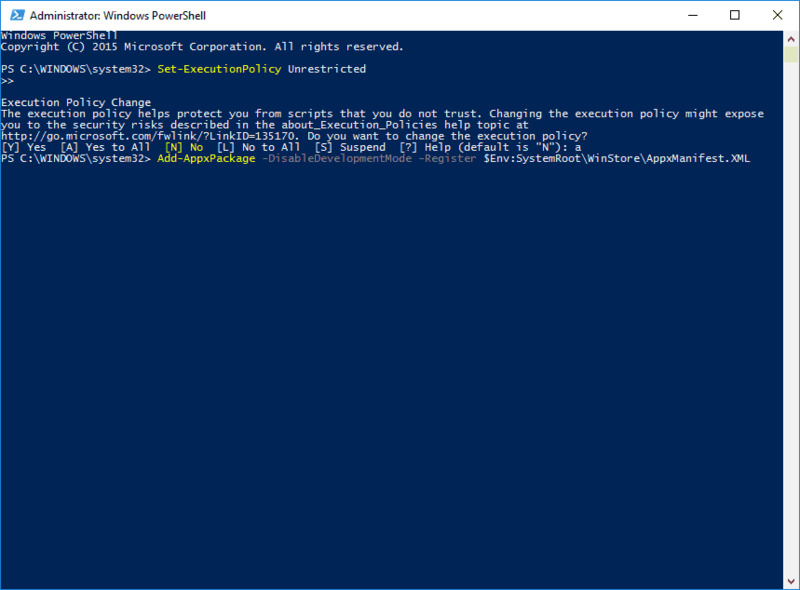 Type powershell and then press Ctrl + Shift + Enter to open PowerShell directly in administrator mode.